valentines day means all. the. chocolate. actually, every day means all the chocolate. valentine’s day is just a socially acceptable outlet to gorge on brightly foil wrapped chocolates for breakfast, lunch and dinner. seeing as how it lands on a saturday this year, you really can eat it all day long. Adam and I have already decided our big valentine’s day plans. same agenda as last year: sushi order in + movie. i haven’t done much baking lately, but thought i would offer up a scrumptious and easy no-bake valentine treat for you and your sweet (or just you). the first step is making tempered chocolate. tempering chocolate can be a real big pain. the chocolate can seize, and it can burn. no one is happy when all the chocolate is gone. i remember seeing this tip a long time ago, but had yet to try it. 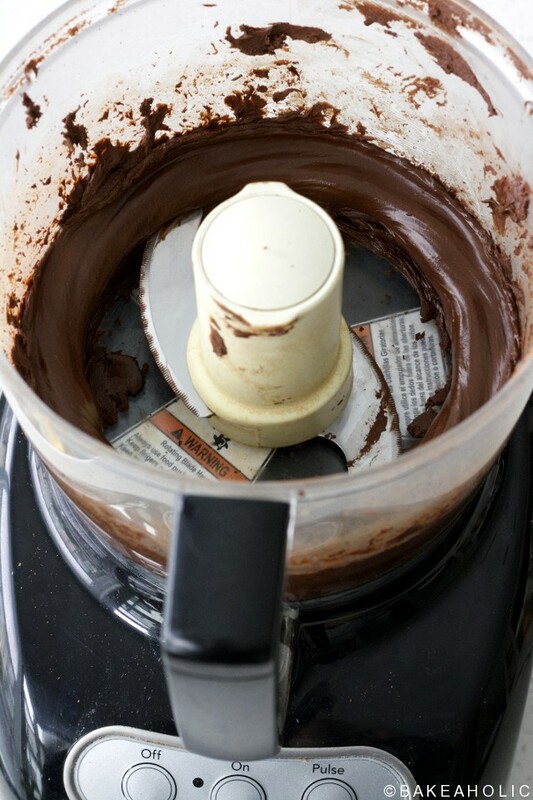 you can easily melt / temper chocolate in your food processor. the chocolate is heated up slowly by the friction and melted into a shiny chocolate liquid. now, if you don’t have the time you can easily melt chocolate in 1-minute intervals in the microwave, however this process is relatively painless and easy as well. in about 10 minutes the chocolate has returned to its deep silky liquid state. i used extra large dark chocolate chips, but you can also chop up a block of dark chocolate and add it to the food processor. stay tuned for what you do next for a no-bake valentine treat. 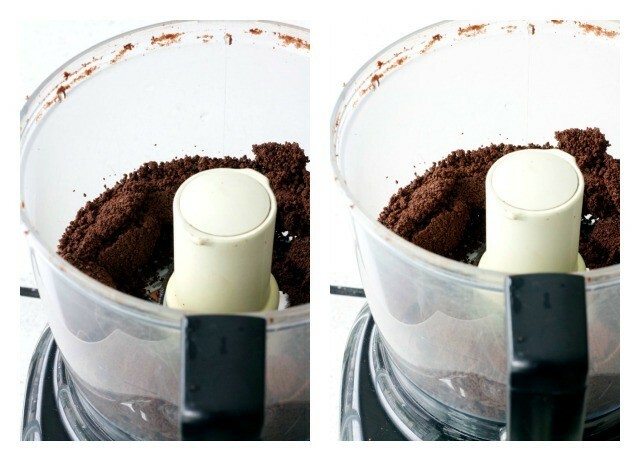 add dark chocolate to the food processor. process for 1-2 minutes, and scrape down bowl. continue process, scraping down bowl every 1-2 minutes for a total of 10 minutes. once chocolate forms a ball, slice it in half and continue until smooth chocolate forms. use in baking, frostings and more.